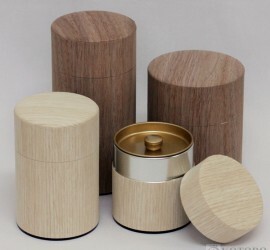 The can is hand-wrapped in extremely thinly sliced real wood. Because it is real wood, the color and grain will vary. Walnut and Oak varieties comprise our lineup. The gentle warmth of natural wood will give your kitchen a feeling of cozy comfort.